Where to start?...I have been buying C&D bulks and tins for a long time now. I like variety, but there is just too much these days with them. If Billy Bud wasn't good, let's try Billy Bud Blonde. If Old Joe Krantz was not good, let's do Red, White, or Blue. Furthermore, let's have 101 bulk blends and 222 tinned blends. Where does it stop with this company? I am worried that having such a variety might actually hurt their business by so much capital, sitting and waiting to sell. Honestly, I like the Pease blends better, but the price makes me have both. So where does it stop, I was thinking when I packed a tinned blend by C&D today, my smoke only lasted about 15-20 minutes. why? Well I always smoke their blends the way they are....DRY....so that may be their catch. Give them the driest tobacco, it smokes faster, and they will order more sooner. They did have Mold issues a few years ago, and that may be the reason why they keep it on the dry side, which I do not blame them there. I think I am going to hydrate some of my blends and hope they still taste the same, but last longer. I am smoking slow, but gosh, this tobacco is vanishing rather quickly. While it is a little mind-boggling how many blends they have, why does it bother you to not be able to sample all (or even half) their offerings? It's certainly no skin off my nose if they make a bunch of blends I'll never get around to trying; maybe somebody else considers them a desert-island smoke. Re: dryness. I like my tobaccos dry, and I haven't noticed C&D tobaccos burning faster than GL Pease, Mac Baren, Esoterica, etc. when dried to roughly equal moisture. Maybe I'm an oddball, though. I'm a pretty slow smoker. I would say if they made enough, they may screw around and eventually make one I like. However, I recently have found several C&D blends I like. Glad I was patient and remained open minded. I'm with Hap on the dryness. Almost no tobacco is tinned or shipped at a moisture level that's too low for good smoking. In fact the opposite is generally true; most blends smoke better when dried some- or a lot. Now, there is a thread in which you make some major statements regarding a lighter blowing up. You've been asked for details, but to date, no reply from you whatsoever. Link to the THREAD in question. I've gone with these guy too, I like my tobacco dry. And also, yes drier tobacco does burn faster, but C&D doesn't burn any faster than any tobacco at the same dryness. If you're going broke buying tobacco, because it smokes too fast, maybe the pipe hobby is not for you. There is definitely blends I like and I buy regularly. Bayou morning,haunted bs,crooner, and morning drive, yorktown, and five o clock shadow...I guess I am just worried about it from a company prospective. They do have solid tobaccos and with mc clelland closing, I was astounded. I thought C&D,or any other tobacco company, but mcclelland was a big surprise for me....back to C&D..Too much inventory? could that hurt them? The last thing I want is to have c&d close their doors too. I imagine they keep a pretty close eye on that sort of thing, esp. with Sykes Wilford running the show. For example, according to smokingpipes.com, their best selling C&D tinned tobacco is Pirate Kake. As of right now, they have 85 tins on hand. For Canal Boat, which is tin sales rank #792 on SPC, they only have 10 tins on hand. From a business perspective, offering consumers more choices is a good thing. It also protects C&D from getting into the McClelland situation of (depending on who you ask) having to close your doors because one type of leaf ceases being available. Well, I would assume that the company knows what it is doing better than me. I’ll enjoy the blends that I enjoy from them. May they live long and prosper. I replied in the thread for you John, thanks for the reminder....I am not on the forum half as much as I should be. I do enjoy the forum and group we have here. Some of the ones I like are really dry right out of the tin. It doesnt bother me one bit. As far as the amount of blends in their catalog, the more the merrier. There are some sleeper blends in the mix that dont get enough attention. But thats ok too because it means nobody is ordering it except me. Of all the blends C&D produces, I’ve probably only tried about 30, but found about 10 I like. I’ve been quite happy with their quality and consistency. The mold issue from the recent past is not the driving logic behind C&D providing a dry product; it’s been that on the dry side for 20+ years. Personally, I prefer buying leaf weight as opposed to water weight. If variety is indeed the spice of life, then McClelland's was and C&D is wonderful for our hobby. And history certainly dictates that present C&D ownership knows what it is doing when it comes to production, marketing and selling. With our hobby and tobacco consumption under constant attack, I certainly applaud C&D for not only championing our cause, but for being a highly successful company that appears to have something for everyone when it comes to our smoking enjoyment. Rock on, C&D! If anyone has a solid business plan, it's Laudisi. If I were you, I'd learn to stop worrying and love the blends. I don’t think I’ve tried a C&D blend I haven’t liked. As long as bayou morning and haunted bookshop aren’t axed, I’ll be happy forever. I don't smoke enough to just buy random tins. It would take me 20 years to try all of their blends. So the only ones I buy are the ones that I see many people talking about. If everyone has different C&D blends they like, the frequency of any one being enough people's "favorite blend" (in order to convince me to buy it) is much lower. Therefore, I'm less likely to try them. I'd love to smoke a bowl of every blend, but the thought of having 313 open tins I won't finish would stress me out to no end. From that perspective, I think their multitude of offerings could hurt them as well. Gotta agree with Steve at al. on this one. I was in on cupojoes the other day looking at some other stuff, & the sheer giganticness of C&D's range hit me dead in the face again. How they do so many blends & so many good is just beyond me. I'm all for it, even if I only routinely smoke a relative handful of their brands. Cosmic: My jarred open tins I won't ever finish stress me out to no end. Will my tastes change? Will the aging tobacco change enough for me to like them again? I should put them in a box and forget about it, but I can't. I'm the same way with snowmobiles. And tools. And horses. Yikes. I didn't have one tin of C&D in my 200+ pound until I purchased some pipes from Smokingpipes.com and they included free tins. I know have 3 tins of C&D and while they are good, I'm okay with not exploring the C&D catalog deeper. But everyone has different tastes and style. I'm grateful they have a giant catalog, just like I'm grateful Baskin Robbins has more than vanilla. I think C&D is making hay while the sun shines. On the remote chance that the deeming date gets moved forward to recent years or the present, which could be some future time, they'd be in under that wire. Mainly, they have the blenders and the customer base for these many premium blends. Even since their Morganton, N.C., days they were and are the masters of using burley in upscale blends, and now they are branching out everywhere. If all you smoked were C&D blends, you'd have many excellent options. Perhaps sign up for some meditation sessions?? I'm only half joking.... And I don't know you well enough to know if you were funnin'. C&D seems to be one of the only blending houses that still comes out with new blends despite the looming FDA deeming regulations. I appreciate their willingness keep things interesting for us even though they know it will be short lived. Thank you C&D! C&D seems to be one of the only blending houses that still comes out with new blends despite the looming FDA deeming regulations. Yep. The thought on my mind the whole time I was reading this thread is this. They're blenders doing what blenders do, and making the most of it while they can. And I applaud them for it. Until the regulations take effect, there is nothing saying they can't keep coming out with new blends until then. Most, if not all, of the newer blends will be disappearing of course, but they can still say they did their thing. I think it's fantastic! Just don't get too attached unless you're able to stock up! I think that C & D is in good hands after their merger with Laudisi. I cannot see them going anywhere, unless a tobacco apocalypse arrives. Then we have more pressing concerns. I think that having a large line up of blends is a boon not a problem. That I remember, merging with Laudisi...but say that all the online retailers get closed due to laws and regulations for shipping tobacco to states....will cornell and diehl seize also? or hopefully they will ship to my local tobacconist to buy there...I hope so. Until the regulations take effect, there is nothing saying they can't keep coming out with new blends until then. Actually, that’s not true. But then again, these aren’t “new” blends, in the eyes of the FDA. I cut my teeth on C&D blends, and a few GLP. I have been impressed since day one and easily can smoke them all day. Right now cycling through Dreams of Kadath, Opening Night, Sunday Picnic, CRF and Fillmore. I have tried Jack Knife Plug, but struggle to appreciate the Burley. I have a dozen more on my wish list but it'll take time to get through what I have. I need to heed Cosmics advice and smoke more! I thought that the very deep catalog of blends has been very much in their favor as per the deeming regulations. I haven't tried, but I would pretty happy smoking their stuff all of the time. I thought I read deep in the FDA regs that you could actually rename a blend that was continuously produced, as long as it was the name only that was changed. I have said, basically this, before but I didn't pay attention to if I was corrected or not. I thought they could rename some of less popular blends, and still appear that they are coming out with new blends, when it is just marketing less popular ones. I am not bothered by the huge catalog. If you like blend from them, it isn't difficult to find 5 others from them that are similar. Really, there are a lot of things that can be done to change a blend and still remain compliant with FDA regularions. Different leaf sources, different processes, cuts and of course, different names. I have been buying C&D blends of tobacco since they moved to North Carolina. My hope is that Chris and company continue to turn out quality blends and allow us to enjoy. 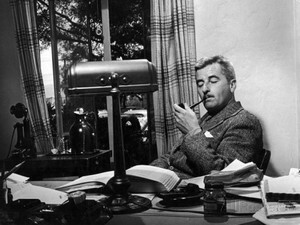 I readily agree that I may be off the OP's original point, but in my world, no pipe smoker can go wrong with C&D. And the reason, is that you are going to find something that you like. C&D is going to treat you so many good ways, you are going to like one of them. I also think there are a bit too many. Don't get me wrong I very much like many of their blends. But I also agree that their portfolio is exploding recently. On the other side there is similar "issue" with P&C/Russ' blends - they just keep creating more and more varieties :). While I like that, I am getting lost in the myriad of blends :). Is Chris Tarler still part of C&D or Laudisi? When last browsing on C&D and Laudisi pages I didn't see any mention or bio of him - if there is I missed it. At various times I've been tempted to try every single product in a category (album by an artist, books by an author, blends by a producer) but it's not generally an overwhelming urge. In that light, the increasing number of C&D blends can only be seen as a good thing, provided it doesn't mean the quitting of earlier blends, which it doesn't appear to do. I guess if I felt compelled to try all of the blends and compare and contrast, the very large number would be daunting or even annoying. Glad I'm not in that boat. They make some great blends, glad to have the variety. I’ve spent a lot of time in the last several months systematically smoking the same three blends at various moisture levels. Without a doubt, it’s a personal preference, but mine is clear. I like my tobacco drier than most manufacturers package. An exception is C&D. Most of their blends, including the GL Pease blends, have a near perfect moisture content upon opening. I transfer them to a jar or mylar bag and I’m set. No drying before I can smoke. The other benefit is that it you’re paying for more tobacco and less water. It’s a better deal! And if you really like the value argument, the Daughters and Ryan VAPer blends are a steal. They’re not among my favorites, however. Great thread. Still a lot of blends and several still have generic tin art however.. I would think since they wanted to update that it would be done 4 years later.. These are also color-coded by components, apparently. But I haven't tried to verify. And as with about everything in our little corner of the world, there are a handful of exceptions for every rule (for example, I think Three Friars has just recently gotten proper tin art, instead of being a plain label). If you want to make a lot of money, you make 1 item and you make it over and over and over again. Having 300+ different sku's is diametrically opposite of the traditional business model. My humble guess is that they produce that many blends because it makes them happy. Not being flip. Sometimes, as a business owner, you have the luxury to do things the way YOU want. I bet that's the case here. They do what they want and don't really give a hoot what anyone else thinks. I get ya Hap. Seems to ring true since I was thinking of Crooner sand Old Joe Krantz. Thanks for sharing. I totally enjoyed reading it, especially learning how Sykes manages the business. Business model for what? 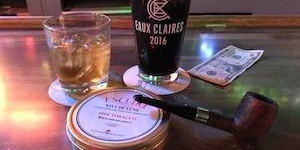 The pipe tobacco (and cigar, and car, and gun, and potato chip, and...) business thrives on new product. It compels people to buy more than they need, more often, than they would if only one flavor was available. Imagine that! I was confused by that as well, but what do I know? The first thing they teach you in grad school for economics is not to assume a PhD in econ means you know anything about how the real world works. It's about efficiencies gentleman. Do one thing and do it very well. I'm not sure P&G has 300 SKU's. If you do too many things at once, potentially you end up doing nothing great. Imagine I'm a pipe tobacco company. Let's call my firm Smornell & Giehl. Now imagine I make exactly one blend, Old Moe Pantz. People like to smoke Old Moe Pantz, and business is good. However, my customers like variety. They'd rather have four ounces each of four different blends than a pound of Old Moe Pantz. Currently, even though I do a great job at blending OMP, and I'm very efficient at it, I'm only a fourth of any given customer's stash of tobacco. So I get a great idea: Smornell & Giehl is going to release a new blend, and we're going to name it Black Sailboat. Black Sailboat has a lot of Latakia in it, unlike OMP, and some people like it enough that they stop buying as much of my competitor's blend, Afternooncap, and instead substitute toward Black Sailboat. So now I have two blends, and both are selling pretty well, and I'm now taking up about a third of each customer's cellar, instead of the one fourth I previously had. Customers are happy because they have more variety, and I'm happy because I'm making more money. Old Moe Pantz has been such a success, I decide to introduce a similar blend: Old Moe Pantz Purple Label. Some people think Old Moe Pantz is too heavy on the Antarctic Burleys, but they love OMP Purple Label's more refined flavor. Now I'm selling more tobacco than I was before, not only because I'm giving the customers more choices, but also because I'm expanding into new clients who previously didn't have any interest in the one blend I was making. Life is good for Smornell & Giehl. Now imagine something terrible happens: the star ingredient of Old Moe Pantz, Antarctic Burley, suffers a terrible crop shortage. I can't produce any OMP until next year's crop comes in. Now I'm super grateful I expanded my line of offerings so I didn't have to shut down my whole production facility and pay unemployment insurance to my workers for an entire year until next year's crop of Antarctic Burley comes in. Diversifying my production really helped me mitigate risk, either from unpredictable crops, or from changes in consumer preferences. Disclaimer: there is obviously a point at which it doesn't make sense to have any more blends on the market, either from a production capacity standpoint or from a consumer choice standpoint. But I have every confidence that C&D thinks about this, and makes an informed decision on whether to introduce a new blend or not. We would see a diminishing marginal return on introducing a new blend, but I don't see any evidence that C&D is so far along that curve as to be hurting themselves by producing new blends. I'm only a fourth of any given customer's stash of tobacco. If you do too many things at once, potentially you end up doing nothing great. This is true. But a business's main job is to stay in business. And blending tobacco isn't the same as manufacturing cardiac catheters. It's really a simple process that doesn't vary that much from blend to blend (and down the mountain side), unless you are also doing flakes and plugs. The difficult job is marketing and distribution, both of which are strengthened by a broader product line. But I get your point about having too many things on your plate, and having product QC get lost in the shuffle. I personally think that C&D works hard to ensure that all of their blends remain up to their standards. It's also worth noting that tobacco keeps well. I doubt C&D is spending much time making Canal Boat; they probably do a run once a year or something and let it sit in the warehouse as long as they need to. Having less popular blends could actually be a really smart way to keep your workers from sitting on their hands when you've met production goals for the popular stuff by the middle of the week. Hap, you need to start a tobacc..... never mind, you're too smart for that. You chums have any thoughts of the company having too much variety? I dig it. Even if many of the blends are 99% similar, I still enjoy new tin art along with it. I just wish the stupid warning labels would go away, or tobacco makers would include a separate sticker sans the warning. I'd love that to complement my pipe and tobacco collection. I agree with you on everything, but this. We may read that all of these are either burley, Virginia, perique, Latakia, or orientals, but there are half a dozen to a dozen different varietals for burleys, Virginias , and especially orientals. Then cigar leafs, there are a ton of them. So, when we read Virginias and orientals or Burley, they can be an expenetial amount of variety between them. Now, some may appreciate the differences, and thrive on picking out nuances, and some just can’t tell the difference between a stoved Virginia and a Red Virginia, so they might not appreciate the differences. Maybe it all just boils down to the style of smoker one is. Someone who needs to paints some lawn furniture, might not appreciate having 10 different colors of blues to choose from in there paint, but an artist might think 10 isn’t quite enough.